Join us in Moscow for six-weeks of intensive training at the Moscow Art Theatre School. Study Stanislavsky and Chekhov in the birth-place of modern theatre. IFTER proudly offers the only six-week summer program at the Moscow Art Theatre School. Ensemble-based theatre training with courses offered in Acting, Stage Movement, Dance, Singing, Stage Combat, and Theatre History. Now with additional courses in Directing, Dramaturgy, and Design! 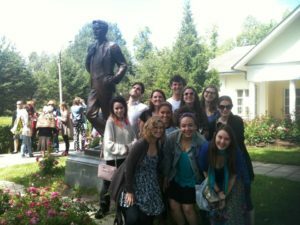 ACTING- Ensemble-based Stanislavsky training at Chekhov scene study with working theatre artists and MATS Professors. Depending on schedules, teachers vary from year to year. In the past, we have worked with Oleg Topoliansky, Mikhail Milkis, Mikhail Mokeev, Vera Kharybina, and Andrei Kuzichev. Most recently Sergei Shchedrin and Aleksei Rozin have lead the course. In addition to expert knowledge in the traditional actor training methods of the Moscow Art Theatre, Shchedrin and Rozin use verbatim theatre techniques as a method of linking classic texts with contemporary life. Acting classes meet for 2.5 hours/day to work on various methods of ensemble-based actor training and scene work culminating in a final showcase. MOVEMENT- Study Droznin Movement with Vladimir Sazhin, Director of Plastic Performance at the Moscow Art Theatre School and graduate of the Droznin program at the Vakhtangov Theatre Institute. DANCE- Ballet and Russian Folk Dance with Irina Nikiforova, esteemed choreographer and Moscow Art Theatre School dance professor. SINGING- Choral, Solo, and Duet vocal training with veteran Moscow Art Theatre School vocal instructor and Moscow Art Theatre actor Alyona Khovanskaya. Alyona specializes in Russian folk music, choral singing, and loves to train actors in diverse repertoire from Opera to Jazz. STAGE COMBAT- Stage combat technique and training with Batraz Zaseev, MATS instructor and graduate of Shchukin school. HISTORY OF RUSSIAN THEATRE- Aleksandr Popov, theatre producer, playwright, and historian leads open discussions on topics ranging from the history of Moscow Art Theatre to analytical discussions on contemporary productions. Classes are held Monday through Saturday from 10a-5p. Acting classes meet every afternoon. All other specialty courses meet on a rotating schedule in the mornings. All courses are taught in English or in Russian with an English interpreter. Directing, Dramaturgy, and Design classes are also available, with enough student interest. We will do a bus tour of Moscow, an Excursion to Melikhovo, Anton Chekhov’s Estate. Four day excursion to St. Petersburg. 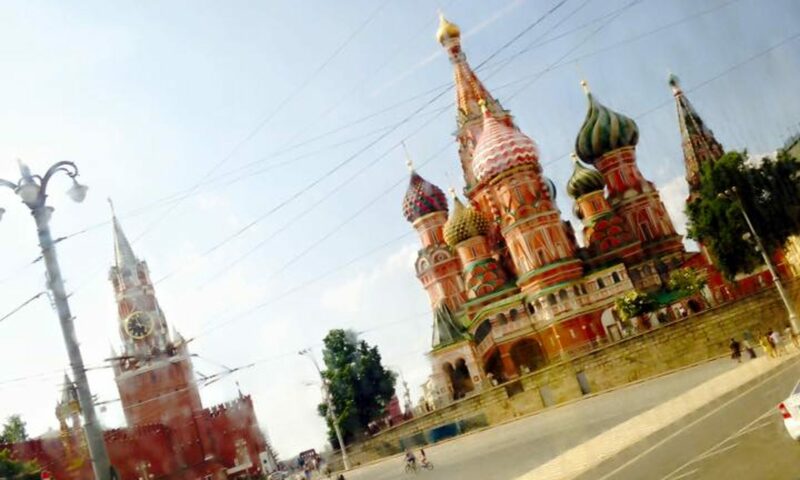 Other outings and tours may include St. Basil’s Cathedral, Cathedral of Christ the Savior, the Kremlin, Red Square, The Bolshoi Theatre, Museums. *Including performances from the Chekhov International Theatre Festival in odd numbered years. 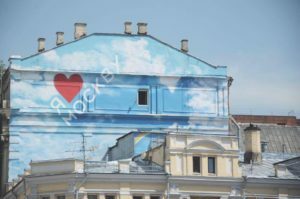 While in Moscow all students will be housed at the Moscow Art Theatre School dormitory, which is located in the very heart of the city, 25 min by foot to Red Square. Rooms are comfortable and equipped with a shared kitchen and internet access. 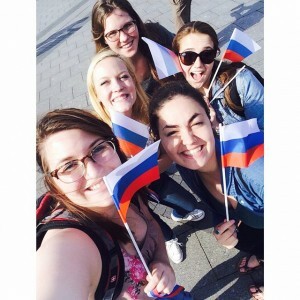 Includes: Tuition, interpreters, Excursions and cultural programs, Lodging, Transportation to and from the airport, Visa fees, Roundtrip airfare from NYC to Moscow, and four days in St. Petersburg. *2019 program cost. Prices and deadlines are subject to change. Note: application deadlines and payment deadlines are not flexible. Failure to meet deadlines may result in additional fees. COURSE CREDIT- Up to six credit hours may be available through Butler University for an additional fee. If you are interested in course credit, please indicate this on your application. Visits to Museums, Productions, and Warehouses of leading Moscow Theatres. Applicant Eligibility- Must be 18+ years of age and comfortable studying in English. Previous theatre training is encouraged, but not required. All applicants are required to submit a headshot, resume, and letter of recommendation, along with a one to two page informal essay written in a letter style. This letter should describe who you are as an artist and, most importantly, as a person. Consider including your interests, your talents, your passions, your fears, or anything that you feel is essential to your unique personality. Also include some information about why you do theatre, why you study theatre, what draws you to this program and what you would like to gain from it. We ask that you also submit some photos from your daily life – you with family, with pets, in a special place, with friends– anything that describes you. Please indicate on your application if you are interested in Acting track, Directing track, or Design track. Also please note if you are interested in Dramaturgy courses. NOTE: If you plan to travel from somewhere besides the US, the cost of airfare can be removed from your tuition. You will then be required to arrange your own travel to and from Moscow. Additionally, if you are not a US citizen or not applying for your visa in the US, your visa fees may vary and/or you may need to apply for your visa on your own. We will provide as much visa support as possible to all students. Email questions and application submissions to info@ifter.org.